With 21 days to go for the Annual General Meeting of the Athletics Association of Sri Lanka (AASL), the battle among candidates has heated up, as its serving officials sketched out the pros and cons of the concluded term. 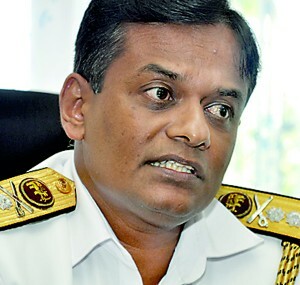 One of the developments that occurred according to Rear Admiral Shemal Fernando, the present secretary of AASL, is the adoption of the new constitution which was unanimously adopted at a special general meeting held at its headquarters in Torrington. “There was a series of coordination between the AASL and IAAF (International Association of Athletics Federations) since February 16, the day the constitution was finalised. They (IAAF) wanted us to alter certain sections according to their recommendations and changes were done more than once. Finally it was adopted on February 28 unanimously. We have sent the IAAF a copy of the constitution and they are pleased with it, we will get their acknowledgement very soon. From this end we have submitted it to the Minister of Sports for necessary approval,” Fernando stated on the constitution, which faced much criticism in recent months. After a controversial election last year, the IAAF earlier stated that it will not recognise the elected officials based on complaints made by some former office bearers. However they changed their stance by granting a grace period which ends this March and one of the top requirements was the adoption of a new constitution which was a leftover objective of the previous AASL hierarchy. With the upcoming elections it is most likely to re-form the ties between the local and international bodies. But locally, with the elections coming up, the situation seems back to square one. Two Major Generals of the Sri Lanka Army, namely incumbent chief of AASL Daya Ratnayake and four-time president Palitha Fernando, are in contention for the post of president with no clear favourite evident. For the secretary’s position, Shemal Fernando will seek re-election. Veteran official Prema Pinnawala, who served on 11 occasions as the secretary, has come out to challenge Fernando. However it looks as though the 75-year-old Pinnawala is uncertain of gaining an advantage as secretary, as he has also forwarded nominations for one of the vice president’s post. Kiran Atapattu will be elected uncontested as the treasurer. Fourteen nominations have been received for the seven vice president’s posts, out of which one slot will be for a woman. Among the top probable favourites to fill the remaining six slots are Sunil Jayaweera, T.M. Devendran, H.W. Nimalsiri, G.L.S. Perera, Sudath Madugalle, Ajith Naragala and Kishu Gomes. Among others in the race are P.H.D. Waidyathilaka, Lal Chandrakumara, Sugath Thilakaratne, Talavou Alailima and Nishantha Ulugethenna, whose nomination has sparked debate as he was oversees at the time of handing over the papers to the AASL. Susanthika Jayasinghe and Geetha Pathiranawasam are the women contenders for the post. Veeman Premathilaka and Bernard Perera will be contesting for the assistant secretary’s post while S.R.O.C. Fernando, H.A. Upali and Tornado Jayasundara are vying for the assistant treasurer’s position. Sisira Kumara will be elected uncontested to the recorder’s position. The AASL hierarchy after observation also has taken steps to reshuffle the task list of some sub committee heads. Accordingly the committee, headed by Sunil Jayaweera which overlooked Coaching Development, was also entrusted with Scientific Research and Technical Development. Ajith Naragala, who headed the committee of Scientific Research and Technical Development, has willingly taken over District Development affairs. Other committees are headed by Shemal Fernando (Competitions), Susanthika Jayasinghe (Women and Kids Development), H.W. Nimalsiri (Officials Development), Air Commodore Ajith Abeysekara (Constitution, Discipline and Doping) and T.M. Devendran (Schools, North and East Development). The AASL also released its annual report for 2012 where it depicts of an eventful year.